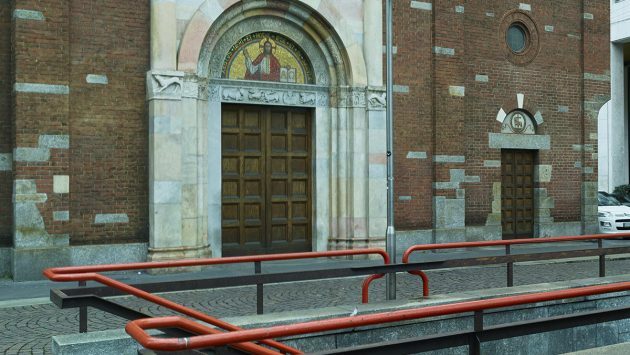 Milan has a discrete charm. It isn’t a grandiose city that causes a sensation at first sight. It doesn’t have the skyscrapers of New York or the majestic boulevards of Paris. 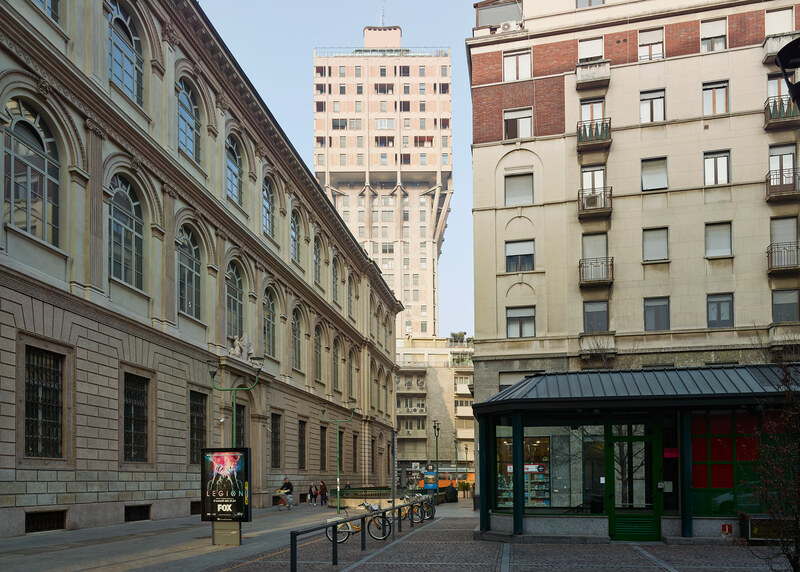 Milan’s beauty is concealed within the courtyards of its buildings in the city centre, and it is revealed in the depths of its history that juxtaposes old and new. 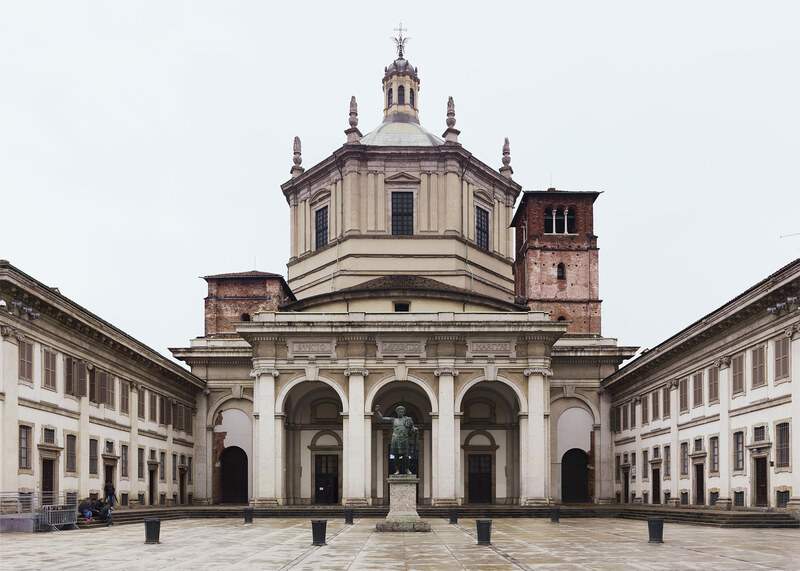 Milan is a multifaceted city that captivates people with different passions: design lovers, architecture enthusiasts, fashionistas, opera buffs and students of history. Michelangelo Antonioni’s film masterpiece La Notte opens with a sequence framing a cityscape reflected in the windows of a skyscraper. The camera slowly descends along the front of the crystalline building delineating the features of the city – a large one but with no other tall buildings. That building was the Pirelli Tower. The city was Milan. 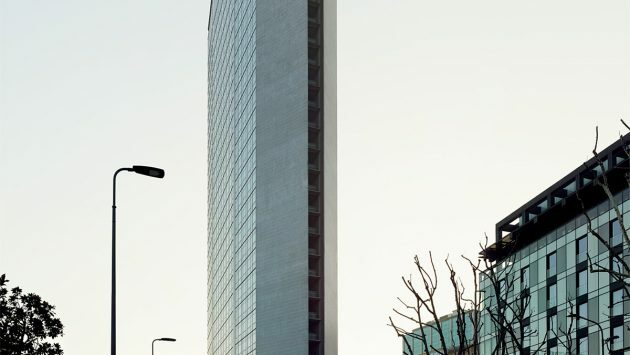 It was 1961, and since the inauguration of Gio Ponti’s skyscraper, the Milan skyline has been transformed. And as always, the city’s history is reflected in its architecture. Even today, the Pirelli Tower tells us of an important historic moment for Milan. It was during the economic boom of the 1950s that the “Milan miracle” became a symbol for the arrival of prosperity in a nation ravaged and impoverished by war. Cà Brutta by Giovanni Muzio tells us of the passing of mannerism and the arrival of modernity not only in architectural terms but in social and cultural terms as well. Giuseppe Terragni’s works tell us instead about a politically dark period when the search for a “State art” suitable for Fascism gave rise to a phase in rationalist architecture that he himself called the Squadrista period of Fascist action groups (1926-1931). The history of postwar reconstruction is written in the QT8 neighbourhood (Quartiere Triennale Ottava, 1947), an area for experimentation made available to architects by the city who offered them a neighbourhood-laboratory – virtually unique in Italy and rare in Europe – for free experiments in which accepted rules could be transcended and new urban models tested. Despite the promises made by politicians and planners in the 1950s, Milan was never to enjoy a New York-style skyline. But the “Milan Miracle” was not only symbolised in the visible upward thrust of a few skyscrapers, including the Velasca Tower by the very Milanese office BBPR (Banfi, Belgiojoso, Peressutti, Rogers). It was also visible in downward excavations – first and foremost for the metro line 1. The stations, designed by Franco Albini with graphics by Bob Noorda, were, for its citizens, the true daily symbol of Milan’s transformation into a modern metropolis. The 1980s and ’90s were less vital; it was a time in which the city suffered dark events relating to rampant corruption. Many projects, few achievements. 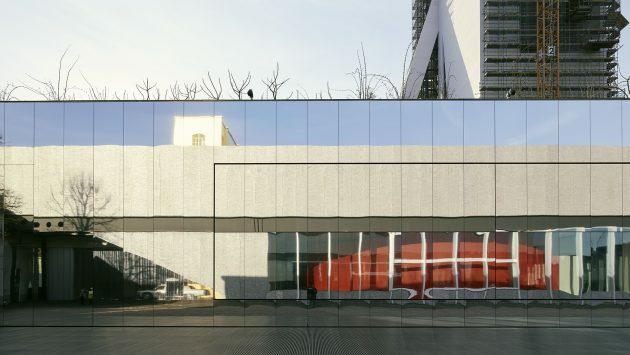 In the ’90s, however, Milan and its surrounding area had already come to be understood as a widespread system for design production with its designers, professional offices, industries, public and private institutions and magazines. The reference point for everyone, of course, was the Furniture Fair. Formal recognition of the city’s status as the international capital of design came at the end of the 20th century with the decision to move the trade fair complex to Rho and the commission to architect Massimiliano Fuksas for the design of a new structure that would stand globally on the cutting edge. His project was inaugurated in 2004. In recent years, Milan has experienced some of the most important stages in the improvement of the city. Porta Nuova Project is a main actor in this improvement, with the extensive urban and architectural upgrading of the Milan Direction Center. 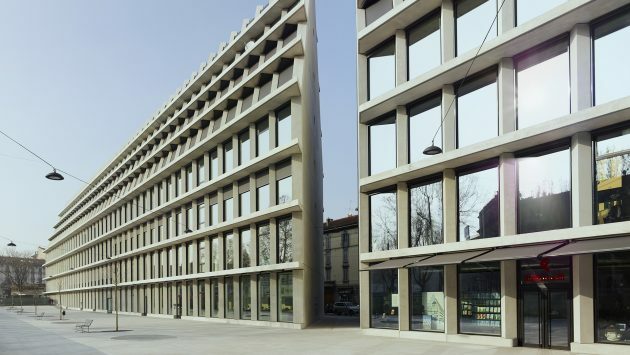 Other important protagonists has been the birth of the Prada Foundation in the south of the city, designed by OMA architecture, and the Feltrinelli Foundation, in the city centre, designed by the studio “Herzog and De Meuron”. Our aim is not to describe just one of these sides to Milan, but all of them together. 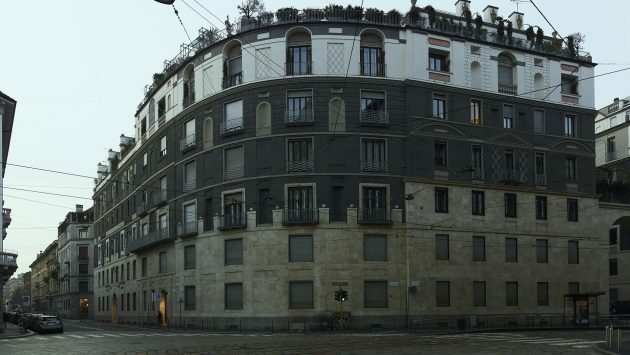 This is the Milan of the non-Milanese, a vivid portrait painted by 19 personal accounts, composing an unconventional guide to the city made of stories, memories and details that the Milanese might hardly notice.